From the ancient origins of astronomy to the Copernican revolution, and from Galileo to Hawking’s research into black holes, The Story of Astronomy charts the discoveries of some of the greatest minds in human history, and their attempts to unveil the secrets of the stars. 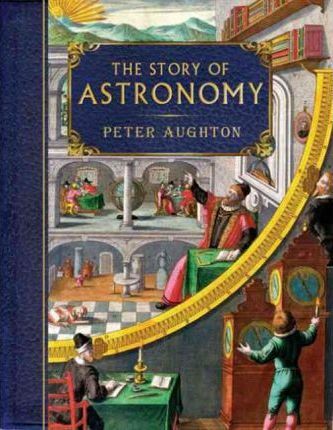 Peter Aughton’s trademark narrative style is to the fore, demystifying some of the biggest breakthroughs in the history of science, and packed full of fascinating nuggets such as why we have 60 minutes in an hour, how the Romans bodged the invention of the leap year and when people really discovered the Earth wasn’t flat (a thousand years before Columbus). And explaining in the most straightforward and compelling of ways what Newton, Einstein, Hubble and Hawking really achieved. Richly informative and readable, The Story of Astronomy is a fascinating journey through 3000 years of stargazing.Included are chapters on: The Origins of Astronomy; From Babylon to Ancient Greece; The Almagest; Persian Stargazing; Nicholas Copernicus; Tycho and Kepler; Galileo; Newton and The Clockwork Universe; William Herschel; Finding Longitude; Einstein; Hubble’s Universe; The Microcosm and the Macrocosm; Beyond the Visible Spectrum; Black Holes and Quasars; Stephen Hawking; The Moment of Creation; The Future.